There’s an ever-increasing demand for desirable property and real estate. Whether you’re buying a quirk cottage or a majestic mansion, the best properties could be seen by hundreds of potential buyers. If you’ve seen a house you want to turn into a home, how do you stand out? One way to get the seller’s attention, and possibly get them to accept your offer, is to write a “Letter of Interest.” It’s an offer letter you email as a potential home buyer, to the sellers, explaining why they might want to sell to you. It tells them why you’re lovely, why they’re great, and the benefits of you buying their home. In fact, you might even see it as similar to a cover letter for a job except instead of trying to get an interview, you want them to accept your offer. Here’s the SaneBox Scoop on how to write a compelling letter of interest, together with some helpful hints to convince the sellers that you’re the ideal buyers. Although a letter offering to purchase real estate sounds very dry, in reality, it should be anything but. It’s essentially a way to create a connection with the seller and stand out from the dozens or hundreds of other buyers they might have seen. It’s an opportunity to highlight why you’d be an awesome person to take over ownership of their home. Find out the name of your sellers and address the letter to them. If they’re a couple, address it to both of them. If they’re a family, address the letter to the kids as well. It shows you’ve taken the trouble to find out about them and instantly helps to build a connection. Let’s not be coy here—the point of this letter isn’t just to tell them why you’d be good buyers, it’s also to tell the sellers how awesome they are. And that means flattery. Talk about what a great job they did in the yard, or how much you love the extension they designed. Show that you paid attention when you were viewing the house by pointing out some of the features and details you really liked. Show them how much you appreciate the house and why they’ll be transferring it into good hands. Extra points if you can highlight areas where it’s clear they made the change or decision, and not the house builders. It’s also a good idea to make your flattery about the physical structure and design of the house and its interior—in other words, don’t compliment the soft furnishings, because they’ll probably be taking them when they move! You don’t want to overdo the flattery, though—pick out two or three things you really like and mention those. Learn what you can about the sellers and see what you have in common. For example, if you’re both in similar professions or your children are roughly the same age, mention that. People connect with others with similar experiences and interests. Do you both collect thimbles? Fantastic! Engage with the seller’s imagination. Describe how living in the house would feel to you and your family. Paint pictures with words and make them vivid. Explain how your kids would play with the dog in the yard, or how great Christmas morning would be in front of their beautiful wood fire. You want to capture and evoke emotion and tell them why the home would be great for building memories. If you’re not a cash buyer, that can make some sellers nervous. Explain that you’ve got financing in place and that you want to move quickly. Show yourself as a stable, no-nonsense buyer who they won’t have any issues with. This isn’t the time to be forthright or to tell them why they should sell to you. Humility and kindness will go a long way to making the sellers feel warmly towards you.At the same time, keep the whole mood, tone, and approach of the letter upbeat and pleasant. It’s fine to use humor too—making your sellers crack a smile can be a great way to build a connection. Remember to always be authentic, it will make your letter read better and helps to create trust. When you close your letter, remind your sellers why you’d be the perfect new owners. Remind them about your excitement, why you want the home, and your ability to carry through on your offer. Thank them for their time and consideration. Typos, spelling mistakes, and grammar errors are those irrational things that can make you lose trust in someone. Don’t fall into that trap—proofread your letter, then give it to someone else to proofread. Then proofread it yourself again. So there you have it, a guide to writing the perfect home buyer offer letter to purchase real estate. Get it right, and you have an excellent chance of buying the perfect home and starting an awesome new chapter in your life. 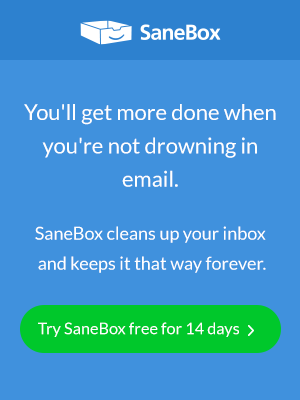 If you’re a SaneBox user (and why wouldn’t you be?) don’t forget to use the super-handy SaneReminders tool to remind you to follow up if you don’t get a reply.